We are family oriented and are open to anyone interested in building, sailing, and racing model yachts of all types. 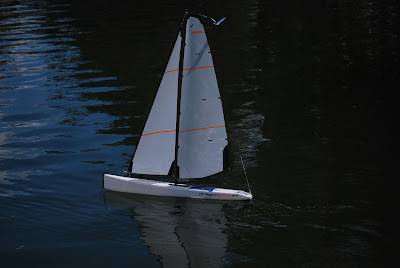 From 1 ft to 8 ft, there is a model yacht for every taste and skill level. We encourage good sportsmanship and the comrarderie that develops from meeting with friends engaged in fun activities. For further information, please call Tom Robbins @ 229-221-7589. Please share your comments with the Club.